Mr. Hubka began practicing as a trial lawyer and now has over 20 years of experience in commercial litigation. Currently, he practices with Cobb Cole's Litigation Section, but his practice is not limited to commercial litigation. During his career, Mr. Hubka has expanded his practice to the areas of real property, corporate, contract and health care law where his litigation experience can help craft solutions to difficult "deal" issues and draft contracts designed to withstand scrutiny in litigation. His expansion into these practice areas was primarily at the request of clients who desired that he continue to provide legal services after representing them in litigation. With his broad base of experience, Mr. Hubka not only assists clients with contract litigation, construction litigation, construction liens, foreclosures and foreclosure defense, but he also routinely handles real estate transactions, including closings, loans and title insurance policies. Mr. Hubka additionally oversees business transactions from the formation of entities to negotiation of contracts, including but not limited to contracts for the purchase and sale of businesses. 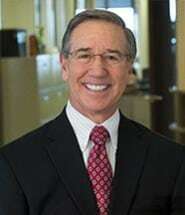 In particular, Mr. Hubka has developed a client base of physicians, physicians' groups and other health care organizations, and can assist them with matters such as employment agreements, purchase and sale of physician practices, buy-out agreements, STARK law issues and Anti-Kickback Statute issues. Mr. Hubka served as a key part of the trial team that represented the Bert Fish Foundation, Inc., in the largest Sunshine Law violation case in the state of Florida to date. In large part due to Mr. Hubka's services, the Bert Fish Foundation was successful at obtaining a judgment in favor of the Bert Fish Foundation, Inc. See Bert Fish Foundation, Inc. v. Southeast Volusia Hospital District, et al., Case No. : 2010-20801-CINS, 7th Judicial Circuit, Volusia County, Florida.